Hi I'm ChrisandZane Also Known As (ChrisandZane Enterprises). And I Have To Joined Scratch Original, Music, Entertainment And More. So What Is The New World The Fun Having Good Times Place To Be Good. 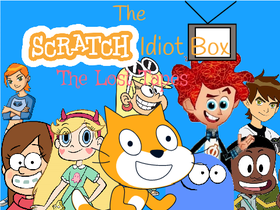 Awesome, Let's Do This All The Scratch Originals Music Entertainment and More Like The Scratch Idiot Box, GoAnimate Ave, And More. Let's Get Started.